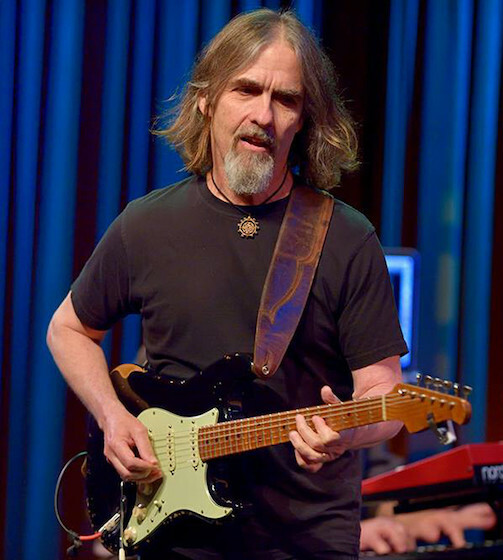 Great guitarist Dean Brown and his DIII band are going to play in Bombura (Slovak music club in Brezno). We are looking forward for that special concert powered by Dean's outstanding fellows Dennis Chambers on drums and Will Lee on bass and vocals. Since the 1980s, you have been playing with top of jazz or fussion musicians like Billy Cobham, Marcus Miller, Brecker Brothers, Victor Bailey, Joe Zawinull, to name just a few. You participated in more than 200 albums with others, but the first album under your own name was not released until 2001. Why? That’s a good question! I had been performing and recording my own music for years, but it was hard to get signed by a label in the 80s since the trends had moved to “contemporary” or “smooth” jazz and away from fusion music, which is what I’ve always played in one form or another. As a “new” artist, I don’t think the companies wanted to take a chance on the edgy music I was presenting until I was approached by Joachim Becker for ESC records in Germany. 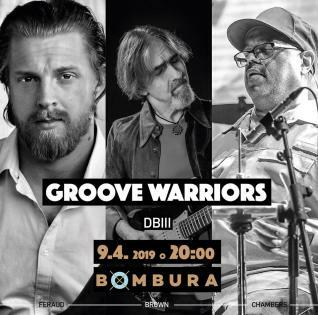 You are coming to Slovakia with the DB III – a project featuring Dennis Chambers as your permanent partner in band, while bass players have been changing. Can you introduce this project to our readers? Dennis and I have done different versions of the DBIII concept since 2007. First was with bassist/vocalist extraordinaire, Will Lee. We recorded DBIII: Live At The Cotton Club with that unit. Then we did a couple of tours in Europe with the great Bobby Sparks on keys. My last two CDs actually contained tracks which were recorded with that unit while we were on the road. Now we have teamed up with the incredible Hadrien Feraud, who is one of the great innovators of the electric bass, in my opinion. Dennis and I have always put the emphasis on the beat and the energy and this project will be no exception. We will play lots of different things but they will all feel good! In 2016, you released your last record with a strange name ROLAJAFUFU. Can you tell us what it means? Are you going to record a second album with DB III (since the last live record in Japan is 10 years old now) or do you actually prefer live playing to studio work? Rock, Latin, Jazz, Funk, Fusion. Hadrien, Dennis and I are fans of old soul and R&B music, so add that to the list. We are talking about a record. Stay tuned! I enjoy both mediums. If I had to choose only one, I would miss the other. In addition to regular gigs around the world, you also teach guitar courses. Young musicians are now quite somewhere else than in times when you started to learn how to play. From your point of view, what are the most striking differences between then and now? The biggest difference is the internet, which absolutely is a good thing. I do wish people would spend as much time seeing live music as they do on line though. Who are your pupils? Are you eventually watching their next career? I have students from all over the world. Skype lessons and web-based instruction is really viable. I have a number of professional guitarists, who are looking to get some different perspectives and some younger players, who have bright futures in front of them. Most have a great work ethic which is heartwarming to see. The Bombura Club, in which you are going to play, is one of the smaller venues in Slovakia. Where do you feel more comfortable to play – at festivals or clubs? I love playing festivals, but there is nothing better than playing a small, packed club. It’s intimate, and immediate. Festivals have a different, but also wonderful energy and they afford us the opportunity to expose our music to a larger audience who might not have been previously aware of our music. In Slovakia, we also have a lot of great jazz musicians. Have you met anyone of them yet? I am sorry to say not that I am aware of. I do know a lot of musicians from neighbouring countries. There might be someone I know who is Slovakian, but I didn’t the he or she is Slovakian. Hopefully that will change once we get to Brezno!